Our team of marketing and branding experts draws on their experience from across multiple industries, from legal to hospitality to tech to education. This helps us create unique solutions without relying on the formulaic strategies used by everyone else. 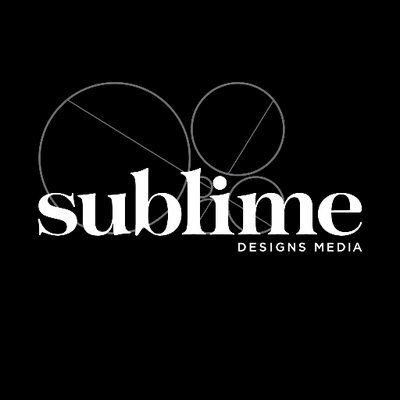 Sublime Designs Media’s curated network of independent web developers, designers, writers and marketing consultants provides clients with a scalable team of specialists that can be called on to meet their specific needs without the overhead (and cost) of many larger firms. Since 2002, Megan has grown and run Sublime Designs Media, a marketing and branding firm that takes a fresh approach to solving your toughest marketing challenges. We specialize in crafting solutions that get results fast: whether reinventing an existing brand, creating a new marketing strategy, or reinvigorating your team. Sublime has grown from a one-woman consulting company to an international firm, with clients ranging from large organizations such as the State Bar of California and the University of New Mexico to corporations such as Appirio, a Wipro Company. In 2016, Megan was named one of LA’s Women of Influence by the Los Angeles Business Journal. Megan holds a BA in Communication Studies from Vanderbilt University. Over the past 18 years, Sabrina has successfully managed a variety of projects within the public, private and not-for-profit sectors, both locally and nationally. She is a strategic thinker and works hard to build strong relationships. For the past 6 years, she has combined her experience, skills, and network to help startups and small businesses grow successfully through operational support, coaching and training. Sabrina is married with two sons, and loves camping and road trips with her family, when she isn’t watching reruns of Friends or the latest documentary on Netflix. Amanda is an accomplished graphic designer with expertise in Adobe InDesign, Photoshop and Illustrator. Although she works in all mediums, her speciality is layout design, with an emphasis in longer publications and documents. She has produced print and eBooks, newsletters, magazines, white papers and more for clients including Appirio, The State Bar of California, and The Marin Municipal Water District. Amanda also works with clients to help update their websites in WordPress. Before starting at Sublime in 2011, Amanda worked as a Billing Coordinator at Pillsbury Winthrop Shaw Pittman LLP where she interfaced with attorneys regarding their billing and created training manuals for new employees. Amanda holds a BA in Sociology from San Francisco State University. Michelle is a marketing, communications and customer experience professional with more than 20 years of expertise in business-to-business and business-to-consumer technology. She has worked with companies of all sizes – from start-ups to global enterprises like Symantec and Intuit – to build and run successful customer experience and marketing programs, public relations, analyst relations and internal communications programs, as well as field and viral marketing programs. Michelle helps companies build awareness, grow their business, and inspire customer and employee loyalty. She specializes in brand development, content marketing, public relations and analyst relations, employee communications, customer journey mapping and whitespacing to deliver a differentiated customer experience. With more than eight years of media and marketing experience, Jaclyn has represented an array of clients in fields ranging from technology to healthcare. As the publicist for these organizations, she has secured placements on major network television stations and top-tier newspapers and magazines. Her clients have been featured in The New York Times, The Wall Street Journal, Fox News, Vogue Magazine, The Huffington Post, Elle, CNET, NBC, The CW Network, just to name a few. Prior to this, Jaclyn was the marketing representative and music supervisor for one of New York’s oldest and most renowned commercial music houses; the online marketing manager for top internationally touring rock bands; and she helped launch a successful music editorial website as the editor-in-chief, giving her a unique insider’s perspective. Jaclyn holds a BA in Communication Studies from Indiana University.